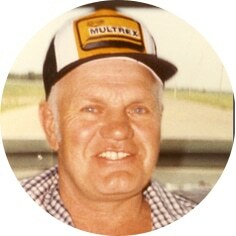 Gordon William Gabel of Moose Jaw, SK. passed away on Thursday, December 27th, 2018 at 87 years of age. Born on the family farm in the Crane Valley District, Gordon started employment with the CPR in 1952 and worked there until his retirement in 1987. He married Jennie Bozak on June 15th, 1953 and together they raised two children. Gordon loved to fish, do wood working and spend time with his family. Gordon was predeceased by his parents, three brothers and four sisters. He will be lovingly remembered by his wife of 65 years, Jennie; son, Gary (Shirley); daughter, Bev (Cory) Bjornson; four grandchildren, Gordon (Jen), Kevin (Tana), Glen (Shealyn) and Melissa (Jason); five great grandchildren, Treston, Maddox, Weston, Harper and Ciara; brother, Les (Pat) as well as numerous other relatives. A Celebration of Gordon’s Life will be held on Thursday, January 3rd, 2019 at 11:00 A.M in Moose Jaw Funeral Home with Reverend Doug Shepherd officiating with burial taking place at Sunset Cemetery. Flowers are gratefully declined. As an expression of sympathy, donations in Gordon’s name may be made to The Heart and Stroke Foundation of Sask. 1738 Quebec Avenue, Unit 26 Saskatoon, SK S7K 1V9. Arrangements are entrusted to Moose Jaw Funeral Home, 268 Mulberry Lane. Todd Sjoberg, Funeral Director 306-693-4550.
so sorry for your loss Bev. and family my thoughts and prayers are with you. I’m so sorry to hear of his loss ! He will be missed ! You’re all in my thoughts ! We would like to express our sincere condolences to you and your family and let you know that our thoughts are with you. Our sincere condolences to Aunt Jennie and family. Uncle Gord will be forever in our hearts. Sorry for your loss Gary and Shirley. Our thoughts are with you. Love Trevor and Sherry. Dear Jennie and Family, Our deepest condolences go out to all of you in your time of sorrow…May your memories carry all of you through this difficult time. Sorry to here of Gord’s passing. He was a nice man and nice to visit with out at the consignment sales at the auction mart and we will miss him out here . I am so sorry to hear of Gord’s passing. Please accept my deepest condolences. Thinking of you at this time. We had the pleasure of having Gord for a neighbor for 12 years on Athabasca St. Such a talented man. We still have stuff he welded up for us. Sorry we are not around for the funeral. Our sincere condolences to Jennie and family. Sorry to hear about your Dads passing Gary, our condolences to you and all af your Family.